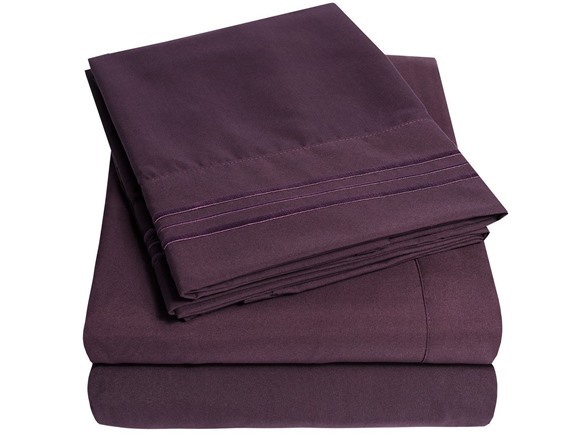 LUXURY QUALITY SHEET SET - 3 Piece Twin Sheet Set Includes, 1 Pillowcase, 1 Fitted Sheet, 1 Flat Sheet. Embroidered pillowcases, deep pocket fitted sheets, 100% double brushed bed sheets for premium comfort and heirloom-style quality. A fresh set of bed sheets is always welcomed whether it be for your own bed or as a gift. Whatever the occasion may be these soft and cozy bed sheets are a great choice.